SYI Surface Boxes are designed and manufactured strictly according to BS 5834. 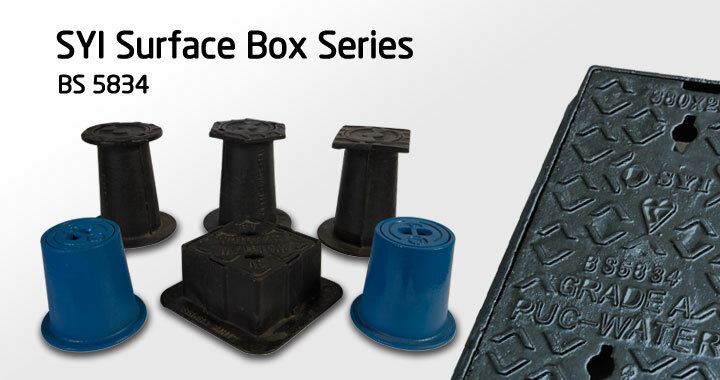 Using Ductile Iron or Grey Cast Iron, our products have been widely used as Surface Boxes, Meter Boxes, Valve Boxes, Water Boxes, Hydrant Boxes and more. Some types come with Double Triangular design or with Chains between covers and frames. You can even choose whether Epoxy Powder Coating is needed or not.